In the aftermath of the failed Walgreens Boots Alliance Inc. (WBA) acquisition of Rite Aid Corp., very little has happened. Rather, it’s like the event itself, or the nonevent, was an ending, a development so sudden and final that nothing else could happen. WBA continues to gather momentum, adding sales and stores in the U.S. as its global business increases in size and impact. Rite Aid remains in business, though internally the abrupt ending of the Walgreens deal has dealt it a serious blow. The remainder of the chain drug retailing community, and indeed of all mass retailing in America, continues to function much as before. The same challenges prevail, while the same issues continue to plague attempts to move ahead. If anything, the industry appears stronger today than it was six months ago, though the leaders remain troubled by roadblocks to growth that were apparent a year ago. And questions remain: Where does Rite Aid go from here? What is in Walgreens’ future? Where will industry leaders find the momentum to grow in an arena that offers little opportunity for growth? What of CVS Health? Walmart? Target Corp.? Grocery retailing? And what, most immediately, of Amazon.com Inc.’s acquisition of Whole Foods Market Inc.? Will it add another dimension to Amazon’s business — and signal the end of traditional brick-and-mortar food retailing? Will it transform Amazon into a traditional retailer? How badly will it hurt industry-leading brick-and-mortar retailers? 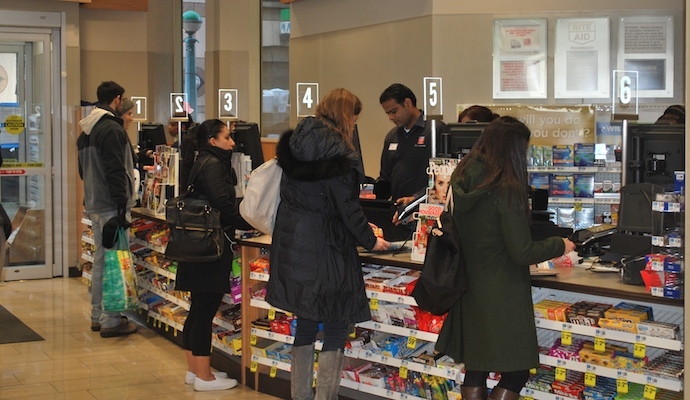 Is it no longer necessary, or advisable, for a shopper to go to the store? Will Amazon become a multichannel retailer, increasing its size as it grows its transactional relationship with the American consumer? Amazon is by no means the first retailer to entice the customer with a nontraditional approach to selling. Couponing remains a viable alternative in today’s marketplace, while online retailing has quietly, or not so, assumed a relevant position in the market. But the idea of shopping without leaving the house is new, even if the practice is not. Going forward, it’s difficult to imagine a retail community that is not dominated by such traditional players as Walgreens, CVS, Rite Aid, Walmart and Target. It’s equally unlikely that grocery retailing will not be led by the likes of Kroger Co., Albertsons Cos., Publix Super Markets Inc. and the scores of regional players that have come to dominate food retailing in America. But … will the new order of things mean that digital retailing has no future? Is it merely a passing trend? Will the consumer always be tied to the store? Will the shopping trip remain the focal point of weekly shopping, while digital shopping remains the preferred option for fill-in or repeat purchases? The answers remain elusive. But clearly, a new retailing era is about to dawn. Where it will lead is still unknown. But this much is certain: It will bring lasting change, replacing the way things are currently done in retailing with new ways, ways as yet unthought of, undreamed of. In light of this change, only those retailers that are aware of the need to change as well will be prepared to adapt to the coming revolution — even if, ultimately, it is no revolution at all.